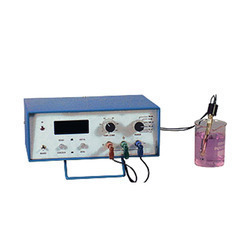 We offer wide range of Laboratory Scientific Equipment. With sincerity and hard work of our professionals, we have carved a niche for ourselves in this domain by offering Digital Potentiometer. This potentiometer is often used for trimming and scaling analog signals by microcontrollers. At our production unit, this potentiometer is manufactured using optimum quality components as well latest techniques under the strict surveillance of dexterous engineers. To eradicate any kind of defect, this potentiometer is examined against several measures of quality by our quality inspectors in synchronization with defined industry standards. Range 0 to ­­ 1999 mv. 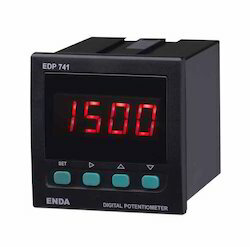 Digital Potentiometer: for Redox Potential Measurement 3½ digit LED Display, Range 0 to ­­ 1999 mv. Resoluions 1 mv. Accuracy­­ 1%, Power supply 230v ­­ 10% AC Supplied with O.R.P. Electrode Stand & Dust Cover. Banking on our vast experience in this domain, we are engaged in offering quality assured Conductivity Meter. This meter measures the electrical conductivity in a solution. This meter is designed and manufactured by our highly skilled technocrats making use of supreme class components with the help of ultra-modern technology. Furthermore, provided meter is checked by our quality experts to ensure its functioning in tandem with defined standards of quality. Auto Deluxe Conductivity Meter: (Auto Ranging ) 3½ digit LED display with facility.for temp. compensation & digital cell constant adjustment along with conductivity cell & temperature probe. Looking for Laboratory Scientific Equipment ?